Whether it’s summer or winter, it’s crucial to take care of your skin. The heat and sun can be harmful for seniors if precautions aren’t taken. Many elderly suffer from dry spots on their skin and dry skin leaves them feeling rough and scaly. Reasons for dry skin can be not drinking enough liquids, spending too much time in the sun, being in dry air, smoking, and feeling stressed. Some ways to relieve dry skin is to use creams, lotions, and moisturizers every day especially after the shower. Take fewer showers and use soap mildly. Use warm water instead of hot as it is less drying. Keep a humidifier in the house to add moisture in the air. As you age, you tend to bruise more easily. Bruises can take longer to heal and certain medicines can also cause bruising. Your skin also starts to wrinkle as you age. Being in the sun can make skin less elastic and gravity can cause sagging and wrinkles. Habits like smoking can also lead to wrinkles. Age spots and skin tags can appear as you age. Age spots are flat, brown spots that can appear on the face, hands, arms, back, and feet. They are caused due to spending years in the sun. Using a sunscreen that helps protect against the sun’s rays may prevent more age spots. Skin tags are small, usually skin colored growths that have a raised surface. They are common for the aging and especially, in women. They can appear on eyelids, neck, and body folds such as the armpit, chest, and groin. Age spots and skin tags are both harmless but tags can become irritated. If these bother you, then consult your doctor and see if you can get them removed. Limit your time in the sun. Wear protective clothing like a hat that can give shade to your neck, ears, eyes, and head or sunglasses. Wear loose clothing that covers your skin if you have to be in the sun. If you have any comments, concerns, or questions, please reach out to us! Here at BlueStar, it is our goal to keep you and your loved ones Safe, Healthy, and Connected. We do this by offering best medical alert systems for seniors that are available on our website. 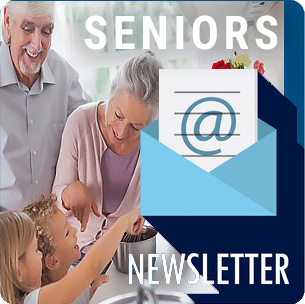 These senior life health products can deliver push-button emergency help so you are never alone. If you have any questions, please contact a product specialist today at (800) 300-1724, option 1!